Where Creativity becomes fully ‘unleashed’! Somehow the air and the notions of existence of the 21st of century are full of perspectives that evolve around ‘the magic and power of creativity’ and there comes the question: where as Breda University of Applied Sciences do we stand in the above? How do the educational programmes that we offer, especially with ‘the touch’ and ‘quality mark’ of Imagineering, open up possibilities the ‘universal truth’ of the triple helix to become alive? Is this actually possible to be realized with the efforts of only one (being a rhetoric question)? Dit artikel is eerder verschenen in Uncover waar docenten en onderzoekers van de Breda University of Applied Sciences in twintig verschillende bijdragen de festivalisering van de samenleving beschouwen. De diversiteit in de eventssector wordt steeds vanuit een ander perspectief aangevlogen zoals events & meaningful experiences, events & placemaking, events & wetgeving, events & change en events & international network. Uncover is voor slechts € 10 (ex. 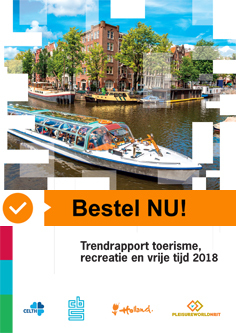 BTW en verzendkosten) te bestellen via de webshop van NRIT Media. A cliché or not – we do believe and therefore continuously contribute to and support stakeholder networking. This is exactly how the Districts of Creativity (DC) Network (founded in 2004 and uniting regions around the world to share and develop practices on stimulating creativity in society to foster innovation and prosperity) started collaborating with DC North Brabant represented by the province of North Brabant. A region where educational providers next to industry players share the responsibility of creating a place that hosts 140.000 companies creating 1 040 400 jobs on 12.180 hectares of industrial real estate, where high tech and high touch are inseparable and where further development of innovation and entrepreneurship is celebrated upon. In 2017 as an annual festivity two spectacular events took place under the flagship of Creativity and the DC Network, namely: the Creativity World Forum (CWF) and the DCLivingLab (created as a concept by DC North Brabant with the support of Breda University of Applied Sciences). Breda University of Applied Sciences was part of both – winning the bid of having a separate Break-out session at the Forum and adding value to the DCLivingLab by bringing 15 students to join a journey of innovation and creativity, where young people with curious and exploring mindsets are sharing new solutions for the cities on the rise. What has the above brought us as an educational arena? On a practical level as students and participants have shared – ‘amazing opportunities’, ‘refreshing idea’, ‘enriching contexts’, ‘networking of a new level’ but when looking at it strategically, there are quite some more goals that we would like to achieve and which for the time being are there in their early premature stage. For example: integrating such events and activities into the educational programmes both as core as well as ‘expected emerging phenomena’, thus: showing in practice how interaction on micro-, meso- and meta-level happens in reality; creating a direct entrance of the students to a stage of creativity, consultancy, networks that enable further marketability and employability; positioning Breda University of Applied Sciences as a contemporary educational player, having a key role into transformational processes of the future. The main point behind it is how to actually make out of such events not just single activities and personal experiences but rather a strategic design well thought-through. Here comes the formal role that our institute is willing to take in being one of the official carriers of the DCLivingLab content; in making commitment to the further development of the logic behind the CWF; in collaborating actively not only with DC Brabant but with the entire network, thus bringing closer the lifelong learning concept to the dynamic evolution of businesses into creativity and innovation. Stifani Herpich, a Master in Imagineering student from Brazil who participated in CWF and the DCLivingLab, shares about her view on the quest towards transforming creativity into a mindset of education, industry and government. Let us directly dive into the topic – CWF and the DCLivingLab in Aarhus 2017 – what have you gained as value from these events and the networks they facilitated in general? "I think that what made this experience so nice and fulfilling for me (as a 'client' of Breda University of Applied Sciences) was the unexpected element; somehow an extra mile of the programme, a great opportunity, kind of self-organizing design assignment! So I would definitely say that it needs to be taken into a long-term perspective, where you can create an event/stakeholder networking portfolio by mapping activities and facilitating partnerships through such happenings, big conferences as well as small scale, workshops, Living labs arranged or providing access to according to the necessity/desire of a specific group. And the students need to step up as well by further investigating and creating their 'own journey' in the whole learning expedition. And then it all starts making sense." Based on the above do you then see a clear vision, mission or a goal behind these events? Is ‘the success’ if any somehow measured? "In theory, media, communication, I would say yes, however what happens after is something I am still struggling to exactly see – was it just the announcement that all seats were sold out or the after-movie with all the spectacular glimpses what we all actually took part in the reason for this time-, effort- and finance-consuming organization behind the events? I still wonder, especially now that the set-up for the CWF2018 as well as the DCLivingLab concepts have slightly changed. Practicing what has been preached, the co-creation as a core principle, the stakeholders in this unique network – these somehow remained implicit and not facilitated for, which in my opinion should have been the main objective." You are basically saying the creativity was the main topic but the approach, methods and the implementation of these events showed in reality something slightly different? "Yes and no. Creativity means also freedom and mindset able to flow in not necessarily a direction that is pre-set. There was so much food for thought and inspiration coming, however if more could have been done in terms of approach and methods – definitely the case. People were eager, space and time were somehow scarce and the freedom moved more into chaos rather than using the energy to the fullest. Here I see the educational portfolio of Breda University of Applied Sciences and especially Imagineering as a design approach being of a specific relevance and value that has not been used. Maybe even an idea for further strengthening the role of the institute as a key player on this arena." And if you have a special wish or expectation of what such events can bring in – what would these be? "To have access to more – to actually be able not only to purely listen and attend as it was during the Forum but more create, co-create, design, appreciatively discover and research as we did during the DCLivingLab – being able to actually work with real-life projects the value of which you see immediately translated in reality, this is something I wish we could have more. Why not even have the revolutionary idea of the whole CWF to be reframed into a Laboratory not a forum, where people actually inspire not only by talking but by co-working and co-designing?" Mrs. Liliya Terzieva holds a PhD in the field of Economic and Organizational sciences of Leisure and Tourism, having her professional experience and research passion into organizational behavior, creative entrepreneurship and business transformation. Ms. Stifani Herpich is a current-year (2017-2018) student in the Master in Imagineering programme at Breda University of Applied Sciences, with background in the field of fashion design, education and entrepreneurship with multiple initiatives all over the world on creating sustainable effects of circularity both in mindsets as well as in business perspectives.